with the condition. Fortunately this situation is changing, with improved treatments now available and improved clinician/organizational willingness to engage with those with a diagnosis of BPD. borderline personality disorder training for professionals. 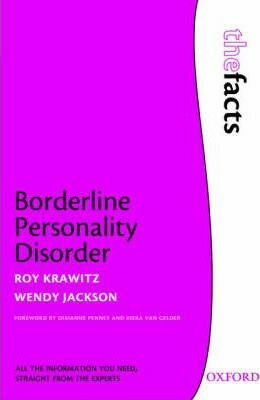 This is Roy's fourth published book on borderline personality disorder, one of which (published by Oxford University Press) has also been translated and published in Dutch and Japanese. involved in the setting up and delivery of treatment plans, running skills training and support groups for clients with borderline personality disorder and delivering borderline personality disorder training to professionals.